Looking for a unique way to share the exciting news of your new bundle of joy? Telling your friends and family over the phone just won’t do! 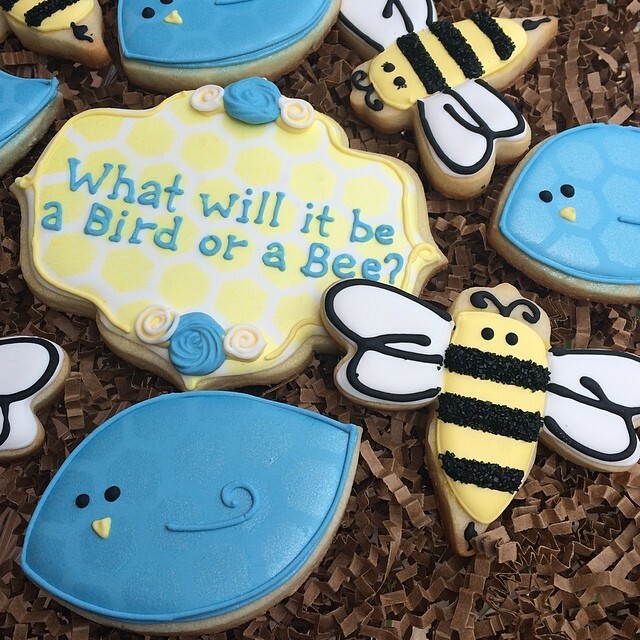 Gender reveal parties are exploding with popularity. 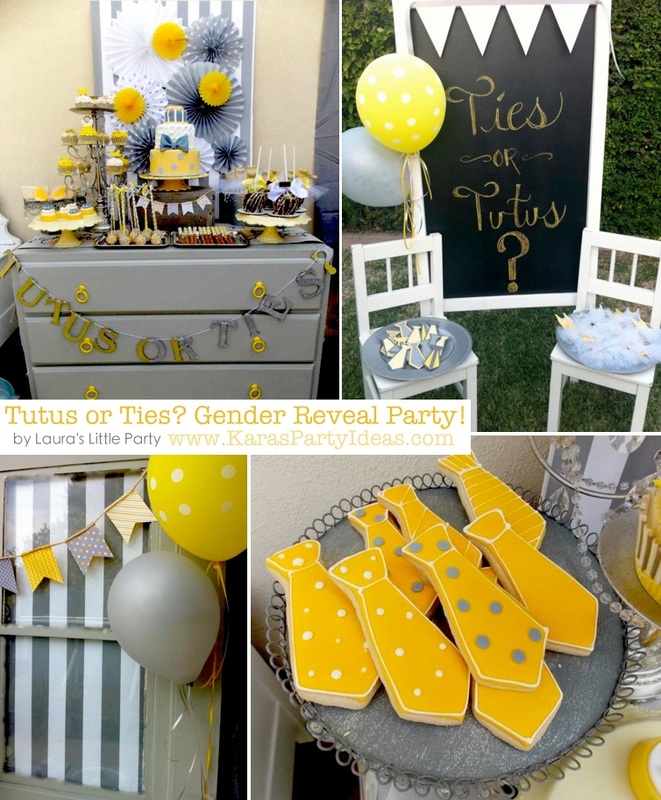 Here are our favorite ideas for a gender reveal theme parties. Have a little fun with your guests once they arrive at the party! We can’t get over this aaamazing balloon release idea. 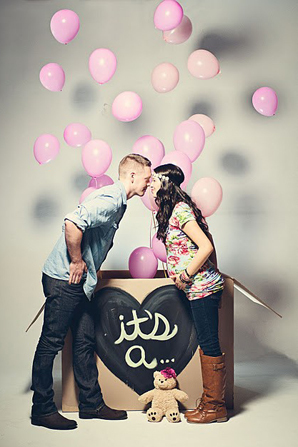 Open up a box filled with pink or blue balloons when you are ready to make the big announcement. The colorful floating balloons create such a special moment – and a stunning photo op! The best part is that all you need to get the look is a cardboard box and a few balloons. How easy is that?! Looking for another non-traditional way to share your exciting news? Surprise your guests by filling a cake with blue or pink M&M’s! Looking for gift table ideas? We love this unique alternative – illuminate the crib with pink or blue uplighting! 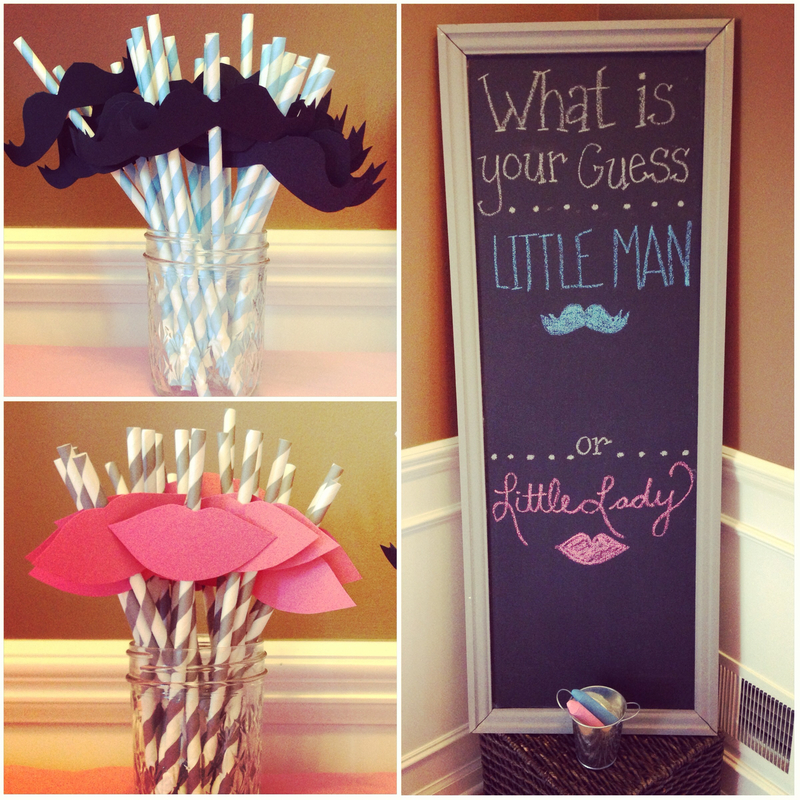 Last but not least, dress up your party with simple decorations that will engage your guests in the gender reveal. 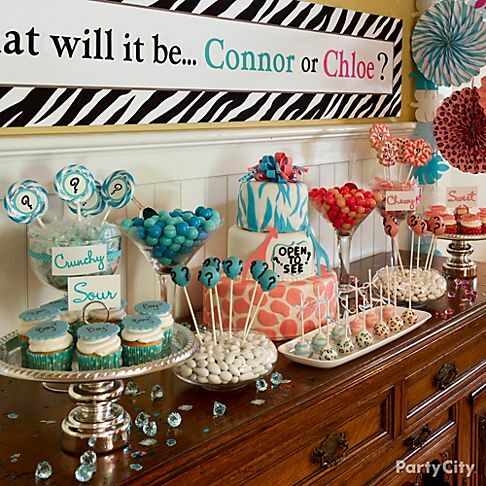 Candy and dessert bars are all the rage! Offer sweets in pink or blue, or mix things up with pregnancy food cravings such as salty, sweet, and crunchy. Get interactive and have your friends and family take a poll on whether it will be a girl or a boy. And, of course, don’t forget the invitation! Set the tone of your party with the perfect invite. 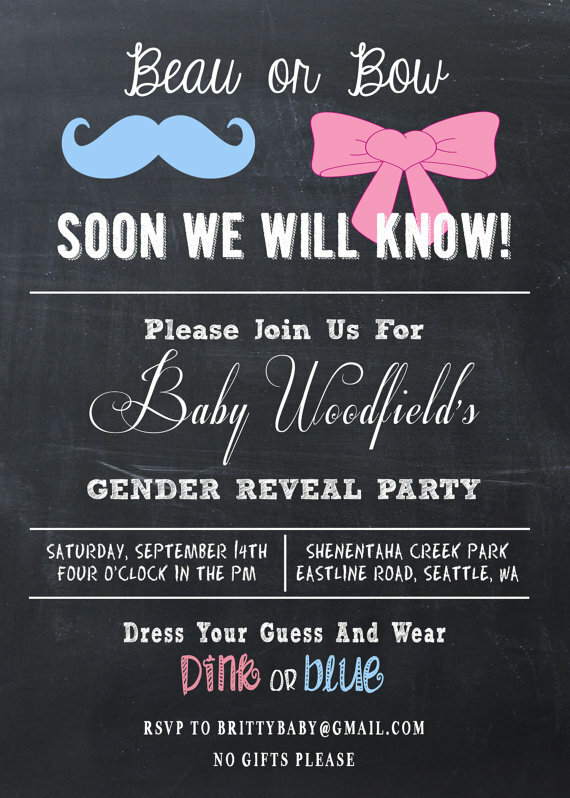 We love this “Beau or Bow” invitation asking guests to dress their guess, pink or blue. Check out our blog on Thursdays for unique event theme inspiration! Previous Previous post: Wedding Wednesday! Next Next post: Mitzvah Monday: Fire & Ice Theme!